Happy Monday! How was your weekend? 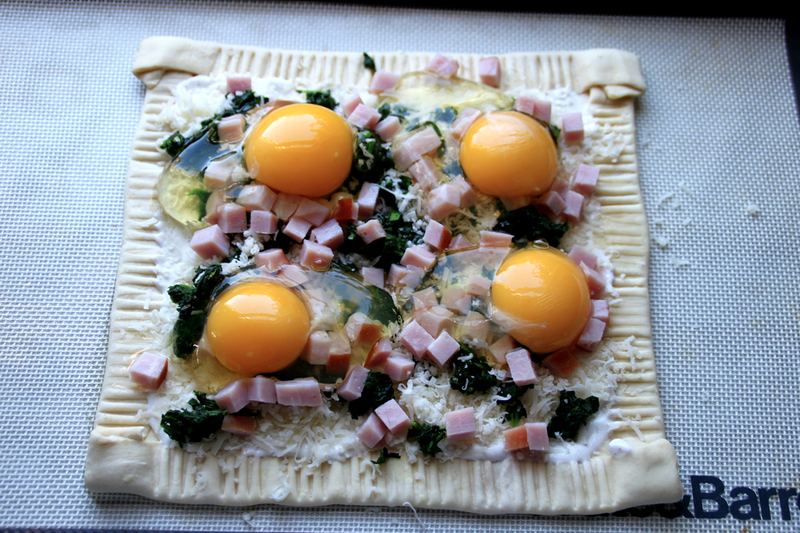 Mine was filled with rainy weather (which I love), pink martini’s, a little bit of work (fun stuff that I can’t wait to share), and this delicious breakfast tart. 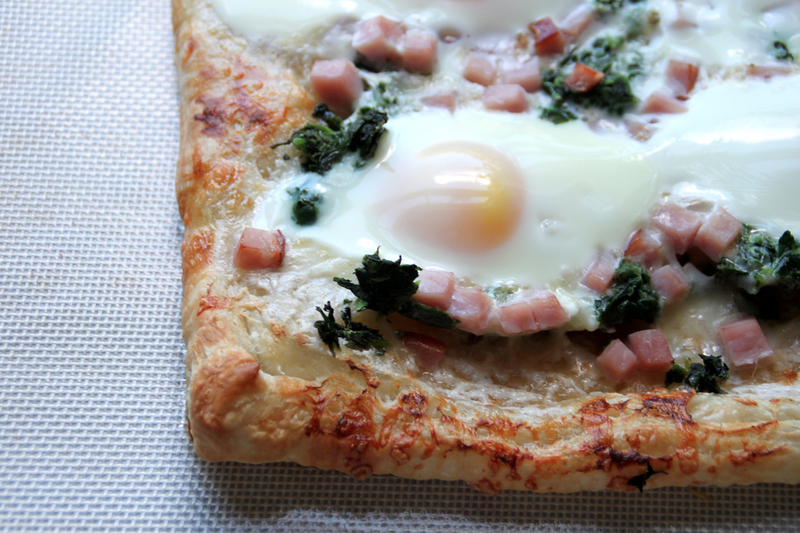 I had made this tart for dinner a few weeks ago and decided to adapt it for breakfast. 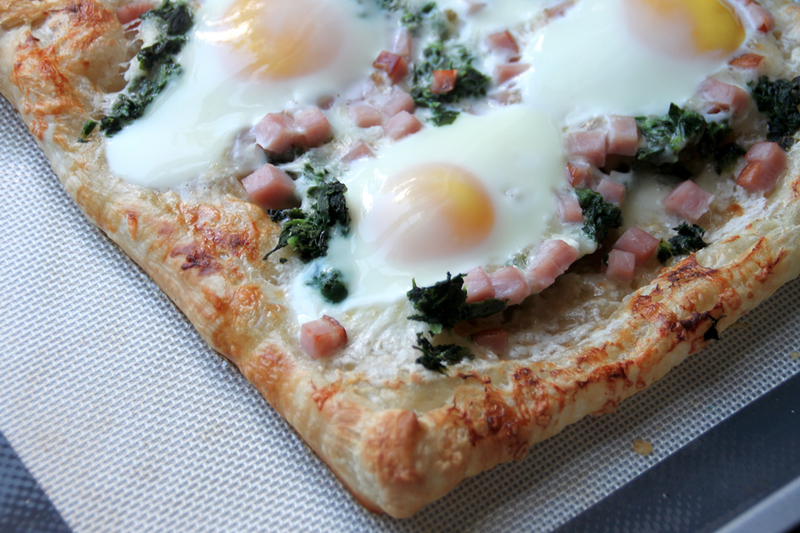 Using store bought puff pastry dough makes this recipe very forgiving. 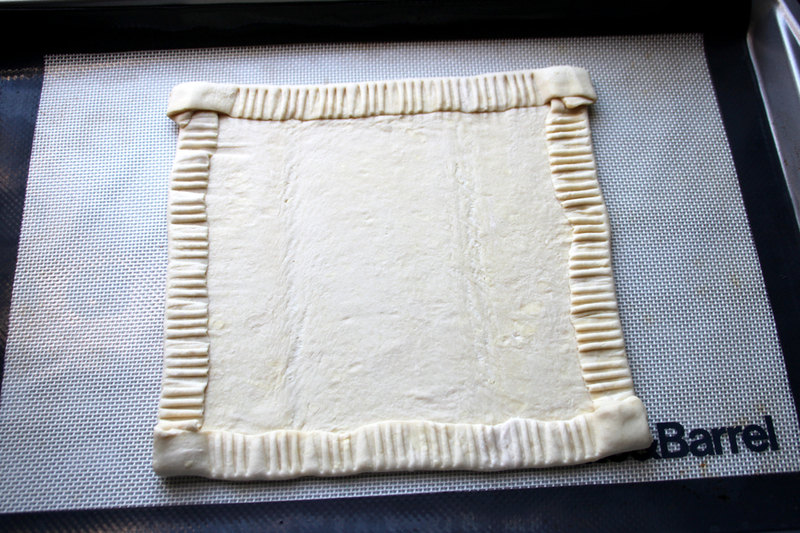 Roll out thawed sheet of puff pastry onto a parchment covered baking sheet. Fold 1/2 inch of pastry edges in toward center on all sides. Press firmly on pastry edges with fork to form rim. Chill crust. Mix creme fraiche and nutmeg in a bowl and spread mixture over crust to folded edge. Sprinkle gruyere, spinach, and pancetta. Break eggs, one in each quadrant and season with salt and pepper. Bake 15 minutes checking after 10 minutes. When done, the egg whites should be completely set and the yolks beginning to thicken but not hard, pastry dough should be puffy and slightly golden. Makes 4 servings. Enjoy! 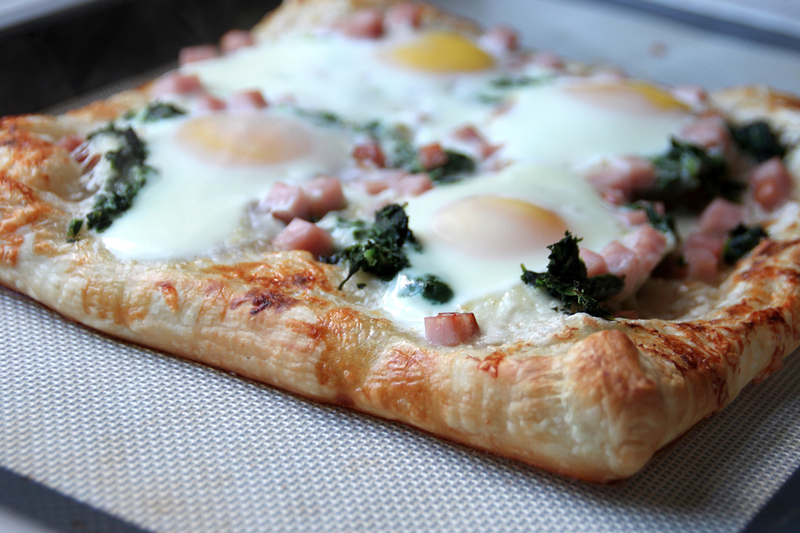 This one looks really good, I will be super happy if my breakfast will be a tart like this! Maybe I will bake the eggs for a longer time because I don’t like it to be in liquid form. For breakfast, maybe you like the following recipe about pancakes? Yum! When are you moving up here so you can make breakfasts like this for little old me?